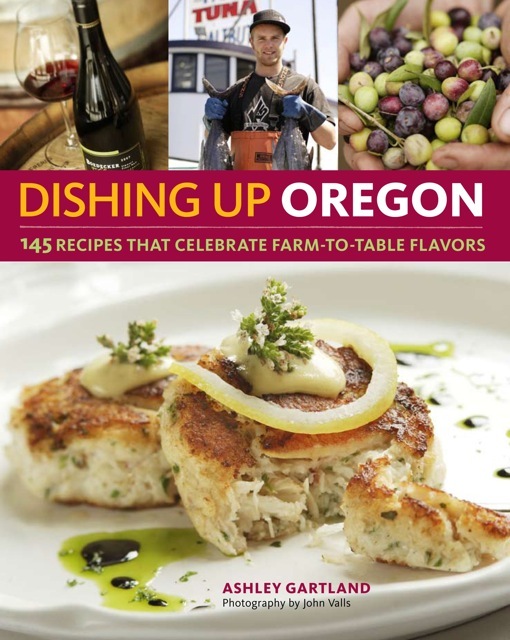 This collection of 150 recipes, many of them contributed by Oregon’s own chefs, innkeepers, farmers, and other food producers, celebrates the delicious diversity of Oregon’s cuisine. You’ll find mouthwatering dishes for every meal and every course, from Chanterelle Rillettes and Asparagus Vichyssoise to Grilled Oregonzola Figs, Cuvee’s Coveted Crab Juniper, Flank Steak with Sorrel Salsa Verde, Duck Confit and Butternut Squash Risotto, Blackberry Bread Pudding, and Rustic Pear Galette. Dishing Up Oregon is also a visual tour of Oregon’s food-and-drink scene, with beautiful photography of farms, inns, vineyards, and more. Profiles of the people behind these enterprises, along with suggested itineraries for food lovers traveling the state, make this book an engaging read and a useful travel companion as well as a must-have cookbook.